Lost City Of Atlantis Spotted On Google Earth!? 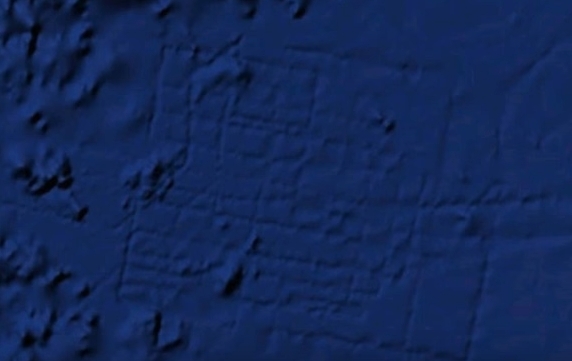 - Ancient Explorers Lost City Of Atlantis Spotted On Google Earth!? Perhaps the biggest archeological discovery in the history of mankind would be the discovery of the lost city-continent of Atlantis, described by Plato in his famous work titled ‘Dialogues’. According to Plato, the story of Atlantis was passed to him by his grandfather, who in turn, heard the story about ancient Atlantis from an Athenian statesman called Solon who learned about the existence of Atlantis from an Egyptian priest who claimed that Atlantis existed nine thousand years ago before that. Until today, there has been no solid evidence that supports that this ‘mythological city’ ever existed. But, a video posted on YouTube claims to have spotted mysterious formation on the bottom of the Ocean floor, formations that do not look like natural formations. Could this be where the mighty empire of Atlantis once existed? You can check out the alleged sunken city by entering the following coordinates into Google Earth: 31 24 25. 58” N 24 32 09. 08” W.
There, you will find a number of mysterious straight lines, forming intricate geometric patterns which according to many, indicate the presence of structures hidden deep beneath the ocean floor. However, there is one slight problem with the discovery. 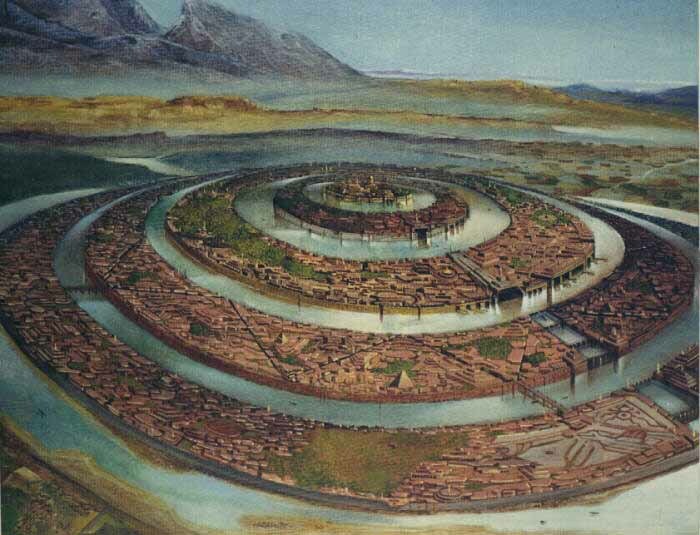 In all of the accounts about Atlantis, Plato described the ancient city-state to be composed of several ‘rings’, and not a series of straight lines like we see in the video. From the translation, we understand that Atlantis was, in fact, a wall that fully encircled the mythical ancient city, with a series of additional circles with a diameter of around 5 kilometers. But if the coordinates of Google Earth do not show the lost city of Atlantis… is it possible that we are looking at another ‘lost’ city? Around the globe, there are numerous sunken cities that have been discovered recently. One of the most noteworthy is, in fact, the ancient city of Heraklion which was just like Atlantis, believed to be a myth all the way until its discovery. The ancient city of Heraklion was known to many ancient Greek philosophers, among them Herodotus, who referred to this ancient city in numerous of his writings, although the existence of this city wasn’t proven until the nineteenth century. Among the Egyptians and Greek, the city was referred to as Heraklionpor Thonis. Many large cities just like Heraklion, Alexandria and Canoups were destroyed by catastrophic natural disasters, so it isn’t improbable that the coordinates are showing us, the remains of a lost city. But, what if the coordinates on Google Earth are not displaying a sunken city? What if the mysterious geometrical patterns are in fact nothing at all? On February 2009, poposci.com posted an interesting article regarding the anomalous geometric patterns are seen on Google Earth, debunking the alleged finding. According to the article, Walter Smith of the National Oceanic and Atmospheric Administration and David Sandwell of Scripps Institution of Oceanography believe ‘the marks are actually “ship tracks” created during the process of echosounding’. However, many others don’t seem to agree with this theory, saying that there are numerous other intricate geometric shapes found on our planet’s ocean floor which seem to indicate the presence of prehistoric, ‘pre-flood’ structures that were wiped out in the distant past by huge cataclysmic floods. Interestingly, Smith and Sandwell believe that if we really were to find Atlantis, it would be hard to achieve it with the help of Satellites, since according to the duo, human-made structures are not big enough in order to be measured that way. They propose that for around 2 BILLION US dollars, we could probably map the entire ocean floor of our planet with ships, and that way, possibly discover Atlantis, and other ‘lost’ ancient civilizations.